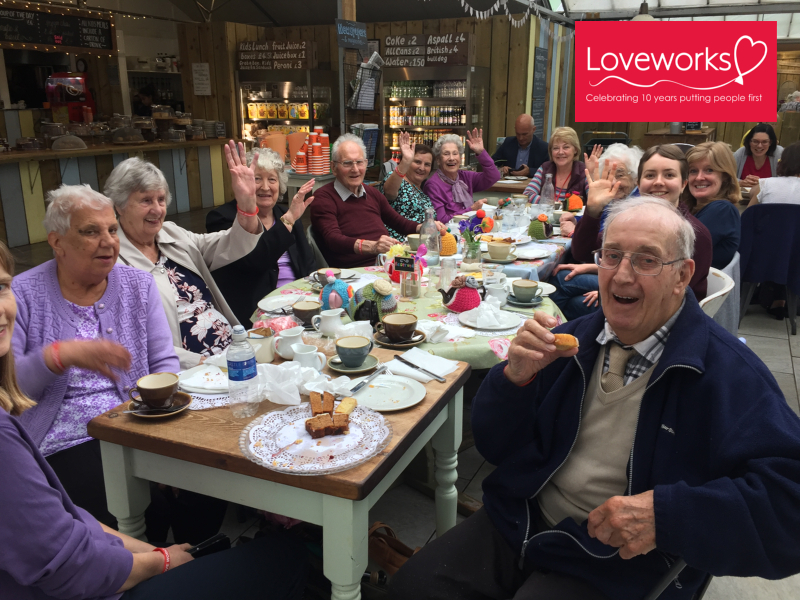 Today, the weather was not our friend, but our guests to this month’s Cuppa Tea Club enjoyed the most fantastic day out at the Priory Farm garden centre and café. For our older guests, a great deal of thought needs to go in to choosing a venue – from accessibility, to facilities on site, to dietary requirements and more. Priory Farm, you did definitely not disappoint, we were so impressed with your welcome and service was simply fantastic. Our guests enjoy Cuppa Tea Club because of what we offer: companionship over a cup of tea, activities, lectures and new experiences. Today, many of our members were able to simply enjoy a new venue experience, taking in the atmosphere in a conservatory which was light, airy and so vibrant with colour from all the plants in bloom. The café pride themselves in presentation and our tea was served with all the trimmings that a ‘high tea’ should offer including knitted tea pot cosys to neatly cut sandwiches and cake. Afterwards, guests enjoyed a walk around the site and some even took the opportunity to do some plant shopping. Regular and loyal volunteers include Laura, Emma, Heidi, Annie and Karin and we thank them for taking the time out on a regular basis to ensure our members enjoy a regular outing in our community. Thanks to Priory Farm Reigate for being this month’s charity partner and we are looking forward to our next visit.